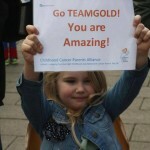 #Teamgold is our team of fantastic supporters. 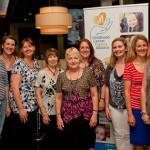 Many have helped us with fundraising, others have helped the families or organisations we support. If you’d like to get involved, we have a #teamgold page on Facebook that you can join. Alternatively, look out for our #teamgold posts on Twitter. The group is a social bunch and likes to get together and have fun! Perhaps you’d like to organise your own fundraising event or volunteer at one of our forthcoming events – either way we’d love to hear from you! Give Rachael a call on 01785 283435 or 07982 426142 to talk about how you can become part of #teamgold! 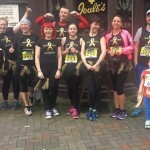 Stafford Half Marathon 2017 – Our dedicated #teamgold runners raised over £1300 when they ran the biggest ever Stafford Half Marathon on Sunday 19 March. They trained hard for the Half Marathon throughout the dark, wet winter nights. There were tears, blisters and weary legs from both runners and supporters! So from all the CCPA members, families and staff, thank you #teamgold for your dedication to helping raise much needed funds. 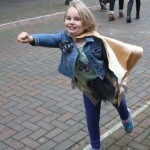 A special mention must also go to Lily-Mai, George, Jody and Chloe. 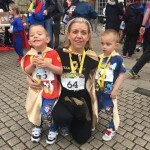 With gold super hero capes flying, our mini-#teamgold runners took part in the Hereos and Heroines Stafford Fun Run race which consisted of two laps of the town centre. Our little #teamgold fearlessly took on the one mile course and helped raise lots of funds and awareness of childhood cancer! The Gold Ribbon Ball – our first ball was an amazing success! 170 Guests joined us at Tillington Hall in December 2016 and we couldn’t have done it without a very dedicated team of volunteers. 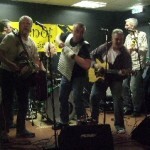 They helped set up the room, sold raffle tickets and spent lots on our charity auction! Our special thanks go to all the businesses who supported the evening by sponsoring the event, taking adverts in the programme and donating fantastic prizes. 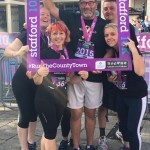 Stafford 10K 2016 – A team of nervous and excited runners took up the challenge of Stafford’s newest running event in September 2016. 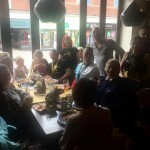 Following the Half Marathon’s success, Stafford Borough Council opened up the 10k race to 1500 runners, who started and finished in the town’s market square. TeamGold get ready to run! CCPA Volunteers – what a team!